This is a great project for Brisbane wildlife, and applicable across the state. Meet the proud team building new homes for Brisbane birds. 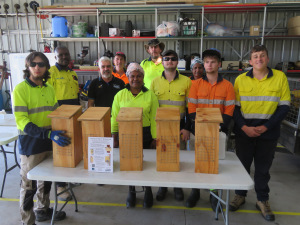 Yesterday, I joined Frank, Mabanza, Andy, Salinda, Greg, Jackson, Dulcie, Ryan, Jack and Chris Lockhart SQW Project Supervisor at the Hendra Pony Club site for our second workshop making nest boxes. 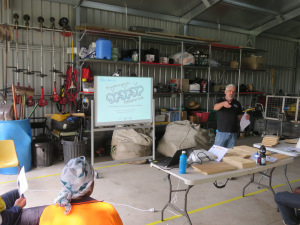 Skilling Queenslanders for Work project of the Nundah Community Living Association Inc. is training and inspiring participants in environmental habitat restoration. A nest box building workshop for future habitat heroes is a great opportunity to share the Pollinator Link® vision.